Mercedes-Benz E-Class Estate Boot Space, Size, Seats | What Car? 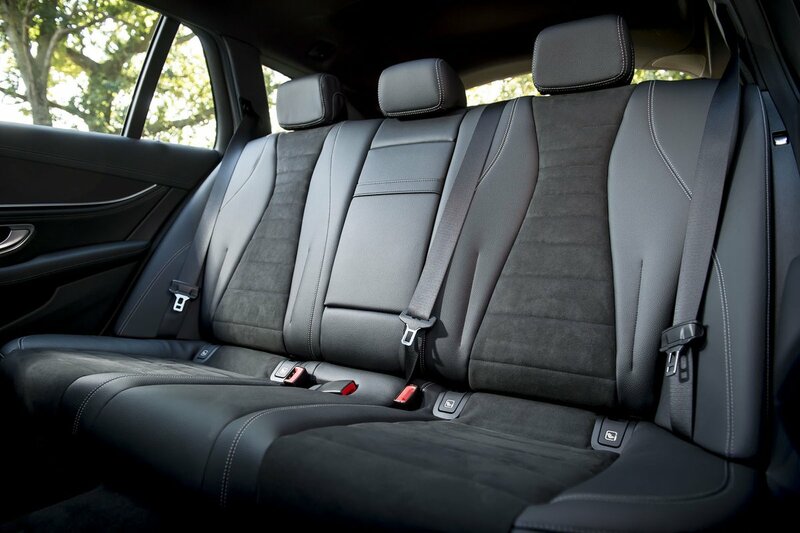 How you grade the spaciousness of the E-Class Estate depends on which section of it you’re examining. In the front, six-footers will find head and leg room absolutely fine, but, if you’re pushing well over six-feet tall, the V90 is slightly bigger still. You get plenty of storage options: bigger items such as a bottle of water will fit in the large door bins, the glovebox will take a sizeable tin of sweets and there are big cubbies in the dashboard and under the centre armrest, both with USB ports for charging devices. Move to the back seats and space is okay but not outstanding. Head room isn’t an issue, but leg room is slightly disappointing: taller folk might find their knees digging into the seat in front, and the lack of under-seat foot space will be annoying for many. The 5 Series Touring is markedly more spacious, and the V90 is truly cavernous. 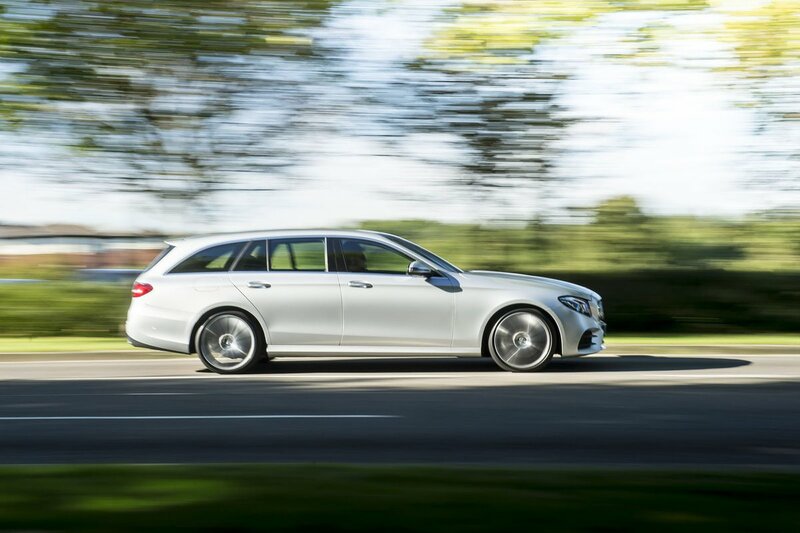 Lifting the standard electrically-operated bootlid draws the eye to one of the E-Class Estate’s main attributes: its massive 640-litre load area – big enough to take eight carry-on travel suitcases. And while the 5 Series Touring may match that amount at a push, lift up the false floor in the E-Class and there’s room for a ninth case in the well beneath. You'll also find a fold-up crate tucked away there, which you can use to prevent loose items from rolling around. 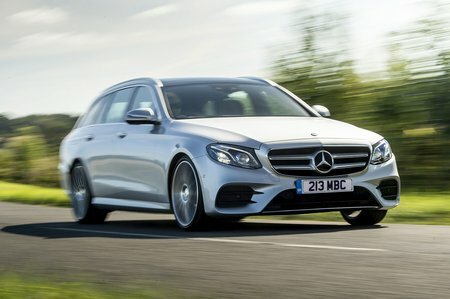 The E-Class’s trump card, though, is that you can specify two extra seats to fill that under-floor void, which unfold to make it the only seven-seat estate in the class. Just bear in mind that those two rearmost seats are intended for kids up to six-years old only. It’s also worth noting that the E300de misses out on those seats as well as having its boot space massively compromised by the need to accommodate a huge battery under the floor. You lose around 200 litres of space compared to non-hybrid versions, and its otherwise flat boot floor is blighted by a big lump at the back. Rather handier is that, if you need more luggage space in any model, the second-row seats fold down easily at a press of the electric release buttons you'll find around the boot opening and inside the rear doors. The seatback is split in a 40/20/40 arrangement, which gives you more options for people and luggage than the 60/40 seats you get in a V90. Another option is a retractable tow hitch that’s able to support a bike rack with a loaded weight of up to 100kg.